If you follow Microsoft then you are used to December being a dead month. 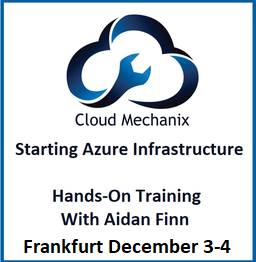 So I checked my Twitter feed last night and was stunned by some big Azure announcements. The feedback on this was given – and Microsoft made a change. Last night they announced the general availability of Disaster Recovery (DR) to Azure for Branch offices and SMB feature in our Azure Site Recovery (ASR) service … AKA ASR without SCVMM. This will allow you to replicate Hyper-V VMs into Azure without using System Center on premises. The hosts must be running WS2012 R2 Hyper-V. Replication is done using Hyper-V Replica. You get centralized replication monitoring and orchestration as a part of the service. And you get the one-click test, planned and unplanned failover types. THIS IS FRAKKING GREAT NEWS! Why am I so excited? The original releases of ASR were targeted at customers with System Center licensing. Those are mid-large customers and are likely the ones that already have DR sites. Adoption rates were going to be low. 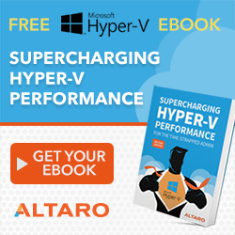 The customer base that needs ASR are the SMBs that run Hyper-V hosts on-premises. That is a huge breadth market. Microsoft partners can enable those customers via Azure in Open licensing – buy some credits ($100 value each), try out ASR with no long term CAPEX or contractual commitments, and see what it can do for your business. And then give your insurance company a call to see what having a remote DR site will do for the company’s insurance premium. Is Software Assurance required for replicated VM’s (for license mobility)? 1) SA does have a benefit for cold offline “backup” copies (i.e. replicas) in a DR site. This is the cheapest option, license-wise. 2) You can license the hosts fully in the DR site (this is how Azure covers you). This would be the more expensive option, license-wise. I was Googling just this topic today when I found this post. That’s great news! However…how do I do it, or what is the search term I should use to find out more info? All of the Microsoft articles on the topic still mention VMM as a prereq. See my Azure Site Recovery posts on Petri.com.